Looking for more tips on how to shop in Paris like a local? Be sure to get our 2019 INSIDR Paris Shopping Guide! Oh mon dieu! You finally made it to Paris, the world’s luxury shopping paradise! But the question now is, where to go to find the latest, trendiest pieces? Fancy updating your wardrobe with some classy designer names, or simply getting your hands on some timeless French jewelry to bring home? 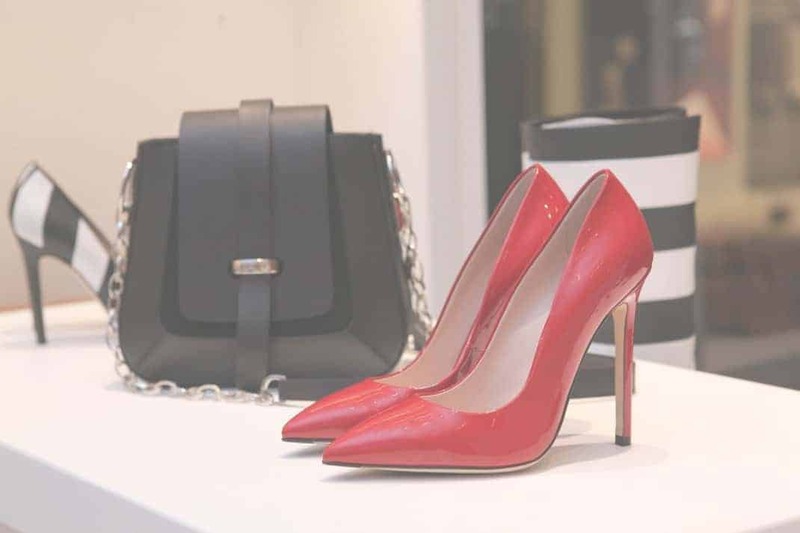 Follow INSIDR for a sneak peak at the best place in Paris to shop for luxury items! The flagship store has a lot to offer in their Designer and Luxury Department: Women’s Fashion, Luxury & Designer, Jewelry, Accessories and Exceptional Fragrances can all be found on the 1st floor of the breathtaking main building, Le Coupole. Whether you’re after original or more accessible fashion items, you’ll definitely find what you’re looking for amongst the store’s collection of over 200 brands! Plus, Les Galeries (as the French call the department store) boast a wide collection of exclusive products only available here! Get lost in this 4 600 m2 shopping wonderland and make your trip to Paris worth it! Alaia, Acne, Balenciaga, Cartier, Carven, Céline, Chloé, Chanel, David Yurman, Dior, DSquared, Fendi, Givenchy, Gucci, Isabel Marant, Jean Paul Gaultier, Lanvin, Louis Vuitton, Maison Martin Margiela, Marc Jacobs, Miu Miu, Moncler, Prada, Proenza Schouler, Saint Laurent Paris, Stella McCartney, Valentino, Van Cleef and Arpels, Vanessa Bruno, Vivienne Westwood. 70 creative high-end brands from around the world, offering leather goods, scarves, hats, costume and fine jewelry. Galeries Lafayette take pride in leading the city in terms of being fashion forward and showcasing Paris’ hottest trends. Plus, they are constantly surprising the public with their exclusive collaborations with designers. The latest spring-summer collections feature talented French designer and founder of the prestigious fashion store Les prairies de Paris, Laetitia Ivanez. Mme Ivanez grew up in Marseille, where she attended well-known drama school Florent. Her early artistic career was to take a different turn, however, when she created Les prairies de Paris with her father in 1991. Later moving to Paris to follow her design dreams, she began working on her own collection and opened her first flagship store on Paris’ Rue Debelleyme in 2007. It wasn’t long before her work caught Galerie Lafayette’s eye, and she was asked to collaborate with the fashion giant. This vibrant collaboration whisks us wistfully into Spring with its array of sunny shades. Simple, elegant and totally wearable (whether you’re 25 or 55), Ivanez for Galeries Lafayette brings together a range of pieces for any occasion. The Designer Laboratory and Luxury Laboratory on the 1st floor showcase various luxury labels and the best new design talents to inspire your wardrobe ideas. The laboratories, designed by architect Bruno Moinard, strive to provide a chic and avant-garde space for fashion lovers. Come visit and enrich your shopaholic soul! What’s more, Les Galeries go that extra mile to make your visit a real shopping experience. The multilingual team of Le Concierge is devoted to providing personalized and all-inclusive services to guests. They are ready to help you with in-store tax refunds, taxi reservations and give you information on express deliveries. Do make sure to take some time for yourself in their luxury apartment-like private lounge!